We all love R2-D2 here at SCIENCE COSMOS. Having Artoo do those things we want it to do is such a fun experience. You dont need to go to a galaxy far, far away…. Your child can learn how to control R2-D2 and use the app based holographic simulations. Let your child bring this iconic Star Wars Droid to life like never before! Your child will learn to program authentic movements just like in the movies and Drive Artoo to go from bipod to tripod stances, or trigger emotive waddles. Your child will learn how to program Artoo's speaker to make the cute sounds like the beeps and boops that come right from R2-D2 itself. Programming the robot's LED'S will add that special touch. Select the PROGRAMMING THEME, while registering for camp. This camp has age appropriate versions for the Neutrons and Electrons age groups. Students 7-9 yrs of age will program the robot on the graphical smart device interface. Students 10 years and older will be introduced to JAVA programming concepts in this camp. Students will have a great time learning programming concepts and discovering. Science Cosmos camps engage your child and spark their imagination. Contact your local center and sign up while openings last. My son has been attending the Robotics class for going on almost two years now and he loves it!! 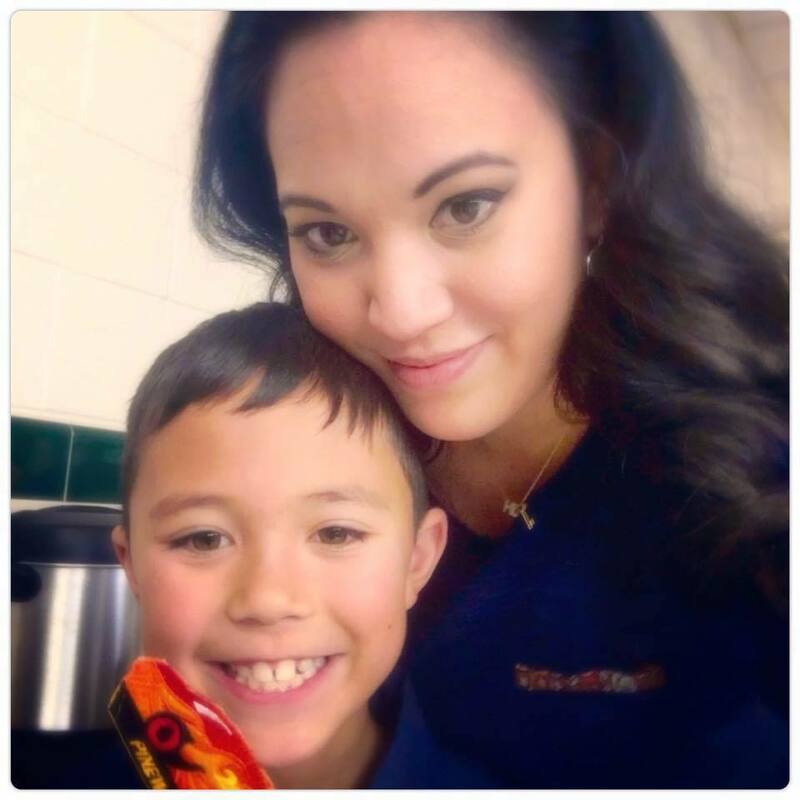 He started with Legos and is now coding in Minecraft. He is always excited to go and remiss to leave. We would recommend it for any young mind that is inquisitive and wants to learn in a technologically savvy environment aided by bright and wonderful instructors! My 7 year old loves her weekly Lego Robotics Class! Customers ask Us “What will My child be doing in the Camps?” Well, You have come to the right place for answers. The day starts out with a FUN filled morning where your child builds a model with Legos or other materials. If its a Game programming or Digital arts Camp, the projects will be done on a PC. In the process they learn concepts in Science and engineering. YOU have a Choice to pick from our list of FUN & ENGAGING themes for your child OR, you can let Us choose one for you. Kids have so much fun with ALL our camp themes, that they want to keep coming back! 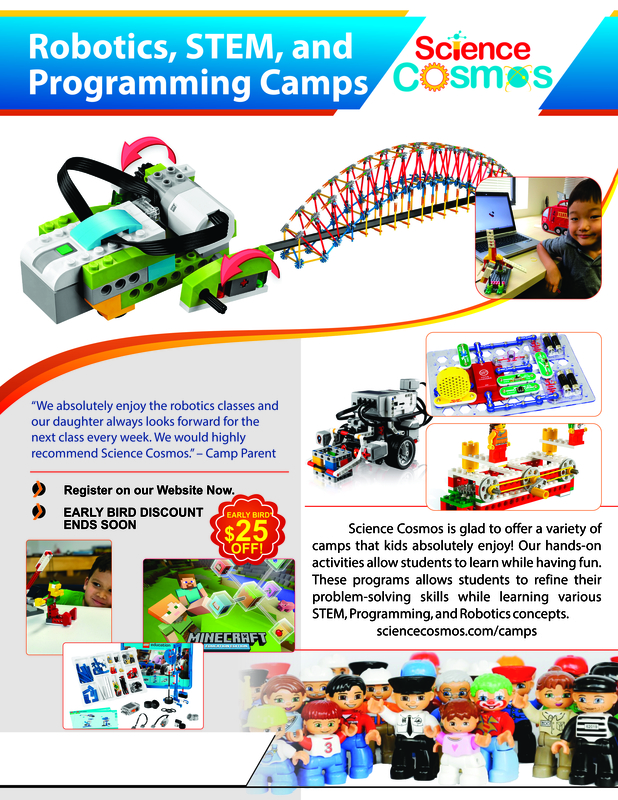 The camps section of our website gives a description of many of the themes offered, including Amazing Robot Animals, Medieval Battle Physics, Space Robots, Lego Science & Math Smart, Arts Cosmos, Minecraft and more. Additional themes that are not listed may be available at your local center. After completing the assigned building project and lesson progression in the morning, the Full day / PM campers continue on to the afternoon session. The format is slightly different form 'Full-Day' camp students v/s those enrolled for 'AM+PM Half day' Camps. Students enjoy a lunch break, where we provide a nut free snack and bottled water. We suggest that you pack some lunch as this may not be enough for your child. The kids are then ready to get started with the afternoon activities. Remember to pick up on time, You can arrange for extended care, if its available at your camp location. GET A COUPON FOR $25 OFF Camp Fees! Hurry L﻿imited time offer! Coupon will be delivered to your inbox (and texted to you if you have submitted a mobile number). $25 Off Weekly Camp fees. For new customers. This coupon cannot be combined with other offers. Interested in Multi-Camp Discounts and other Branch-specific deals? Coupon offer Expiration is branch- specific. Please call your branch now to confirm.